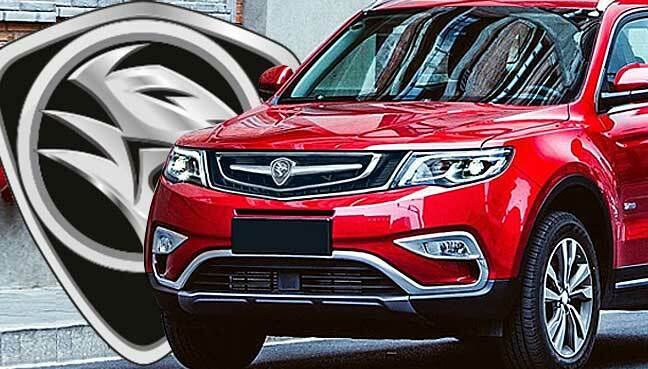 PETALING JAYA: Proton Holdings Bhd’s X70 sport-utility vehicle (SUV), which is set to be launched later this year, could just be the game-changer model that the struggling national car company has been waiting for to help turn it around. Response to the model has been promising, having received some 5,000 bookings within a week of being made available to the public – a good sign for a company that has, for years now, been striving hard to rebuild its brand loyalty and regain consumer confidence in its products. “The emergence of China’s Zhejiang Geely Holding Group Co Ltd as a foreign strategic partner was a milestone for Proton and will help provide the national carmaker with the turnaround opportunities it has been needing all these years,” said an industry observer. Geely completed its acquisition of a 49.9% stake in Proton in September 2017. Vehicles engineered with Volvo technology, such as its GC9 sedan and the Boyue SUV (the platform on which the X70 is based on) have been a hit in China, the world’s biggest auto market. China-based vehicles have, for a long time, been getting a “bad rap” from customers and industry observers due to their quality. However, in recent years, the demand for Chinese makes has been on the rise. “Having models with Volvo-engineered technology has helped Geely grow by leaps and bounds,” said an analyst. “With proven technology and European-like features, their models have been a hit in China; and it’s no surprise why the model will be a hit here as well,” he said, adding that the X70 could also pave the way for future Proton models. Another analyst said having a rebadged vehicle would also bode well for Proton, especially for parent company DRB-Hicom Bhd, which has a 50.1% stake in the national carmaker. “By having a rebadged vehicle, Proton will no longer have to incur huge development costs in developing new models, as the cost will be incurred mostly by Geely. This will definitely help boost the national carmaker’s bottom line. Building a brand new model could cost north of RM700mil for Proton – but less than half of that when collaborating with a partner, he said. Last month, DRB-Hicom announced that it is expected to make a gain of RM735.4mil from its proposed sale of Alam Flora Sdn Bhd to Malakoff Corp Bhd’s unit. DRB-Hicom said part of the proceeds from the proposed disposal would be used to repay its borrowings, as well as help turn around Proton. For its first quarter ended June 30, 2018, DRB-Hicom suffered a net loss of RM66.60mil compared with a net loss of RM182.79mil in the previous corresponding period. Revenue dipped to RM2.65bil from RM3.13bil a year earlier. The company said its earnings were affected largely due to lower sales of vehicles by Proton and certain other automotive companies. In its notes accompanying its first-quarter results, DRB-Hicom, nevertheless, said it is optimistic about the prospects for its current financial year. “The group’s automotive sector is expected to pick up momentum with the impending Proton SUV to be launched by the end of 2018. New product launches from other marques, as well as promotional activities, will act as catalysts to drive the sales volume further,” it said.